"We have the obligation to use our knowledge to advance the struggles of humanity." Mr. Gibson attended Hargrave Military Academy in Chatham, Virginia. From there he attended Virginia Tech where he earned a B.S. Criminology, B.S. Psychology, and graduated from the Virginia Tech Police Academy. While working under a general contractor in Virginia Mr. Gibson was responsible for oversight of a 6 person crew doing renovations consisting of electrical, flooring, cabinetry, air conditioning, appliances, and grounds-keeping. He also had a successful career selling automotives, cars and motorcycles. Shortly after graduating from Virginia Tech Mr. Gibson was drafted to the Dallas Cowboys. He had a four year career and was with with several different teams. Since then Mr. Gibson has been a part of dozens of residential and commercial projects. Dr. Claudio Lima is a seasoned global thought leader and innovator on advanced energy and telecom/ICT working with emerging technologies, new business and financial innovation. He received his Ph.D. in Electronic Engineering in 1995 at UKC (England) and has large industry, high tech start-up and R&D experience on advanced energy systems, Internet of Things (IoT), smart grid, microgrid and Distributed and Intelligent Energy Resources (DER). He served as vice chair of the IEEE 2030 Smart Grid Standards, where he made significant contributions to the development of global smart grid standards. Previously, Dr. Lima worked as Global Smart Grid Chief Technology Officer of Huawei Technologies and Senior Research Scientist and Distinguished Member of Technical Staff at Sprint Advanced Technology Labs (Sprint ATL), in Silicon Valley-CA. He has set up and led global advanced research and engineering projects with collaboration in a wide variety of industries, including energy, telecom, IT/IoT and the public sector. He is the co-inventor of an innovative IoT Energy-Internet Access technology, using blockchain Ethereum to enable transactive energy business models. He has more than 100+ conference key note speaker presentations and scientific research that has been published in leading peer-reviewed journals, including 13 USPTO patents award. David has nearly 20 years’ experience in the Western Australia Electricity Industry. Having worked in two of the largest and most complex energy utilities in Western Australia, including more than five years as a senior executive of Horizon Power, David has a wealth of skill and experience in the areas of electricity utility management; government, regulator and stakeholder relations; energy sector marketing and branding; contentious issues and crisis management. David successfully lead Horizon Power’s first economic regulatory review through the Economic Regulation Authority’s Inquiry into the Funding Arrangements of Horizon Power and has well-developed expertise in the approach to managing a far-reaching economic review. David is an expert in the development of organisational decision-making and works justification processes that deliver operating and capital works programs that stand up to regulatory and commercial scrutiny by demonstrating commerciality effectiveness and efficiency. With an extensive background in media management, the management of contentious issues and crisis management, David is able to provide high-level strategic advice on the full range of public relations and stakeholder engagement issues. Rounding out David’s skill-set is broad Human Resources management experience in the energy sector. Mr. Johnson is a ‘grad’ of U.S. Department of Energy, Navigant, IBM Energy/Utilities & Schneider Electric founding Helpanswers.org & CleanEnergyBlockchain.com with a MBA from Loyola Chicago and BA from the University of Notre Dame whose extensive clean energy experience helps him lead holistic professional teams to identify and satisfy customers needs. Mark serves all of North America specializes in Clean Energy; DERs; Storage; Microgrids; Nanogrids; and Blockchain. He has developed a very unique skill set in handling complex multi-million-dollar projects. He is a leader and problem solver who identifies and satisfies customer’s needs profitably. Mr. Johnson Collaborates cross-functionally across organizations and provides creative technical and analytics support, clear and simple communications and hands-on project and process management. His expertise is in financial modeling, distributed energy resources optimization, solar and storage, microgrids, nanogrids, technical assistance, performance guarantee insurance, recruiting, coaching and training, and Blockchain. As Manager of Texas Global Resources, LLC currently working on financing the joint venture acquisition and development of 35,000 acres in Zavala County, Texas. While Mr. Coolures was the President of ANLOC, LLC, (A Nice Little Oil Company) in Houston, TX, he directly arranged over $20 million in private work over and re-entry projects throughout Texas. He Co-ordinated land work for over 50,000 acres in a variety of projects throughout Texas, Brokered and negotiated leases for over 2,000 acres in the Barnett Shale play, Texas, and field managed over 20 well work-overs. Mr. Coolures successfully Coordinated fund raising of over $40 million with international investors for a variety of technology and health care technologies. He Re-negotiated a series of leases and improved mineral owner relations in a variety of situations where low oil prices caused operators to risk losing leases. As President of RVC Petroleum, Houston, TX Mr. Coolures organized bankruptcy financing and formed RVC Petroleum with Enron Oil & Gas as a key strategic investor and partner. He personally managed seismic acquisition, processing, landwork, prospect development of over 40,000 acres and raised production from very low levels to over 600 barrels of oil a day and 23 million cubic feet of gas a day. He drilled 23 wells in the East Texas Cotton Valley formation, managed a budget in excess of $30 million, and hired over 30 employees. As an Independent Oil & Gas Operator, various locations in Texas and Internationally Mr. Coolures successfully managed and drilled over 500 wells across the country. He drilled over 20 wells in the Hugoton Field, Western Kansas in a challenging oil price environment; 112 wells in the Bowling Green area of Kentucky; approximately 150 wells for Occidental Petroleum in Lake Maracaibo, Venezuela as a drilling consultant; over 12 wells in Eastern Kansas (Coffeyville) and Goose Creek Field (Piercement Salt Dome); and owned Verne Drilling Company managing 39+ drilling rigs. Mr. Robert B. Dillon, ESQ., serves as Partner and General Counsel at ANLOC, LLC. Mr. Dillon has substantial legal experience in both complex commercial litigation and oil & gas matters. Mr. Dillon served as Chief Executive Officer of Exobox Technologies Corp. since April 4, 2004 until May 2009. Mr. Dillon served as the President of Exobox Technologies from April 4, 2004 to January 2009. He served as the Chief Executive Officer and President of Acola Corp. from October 12, 2001 to October 16, 2002. 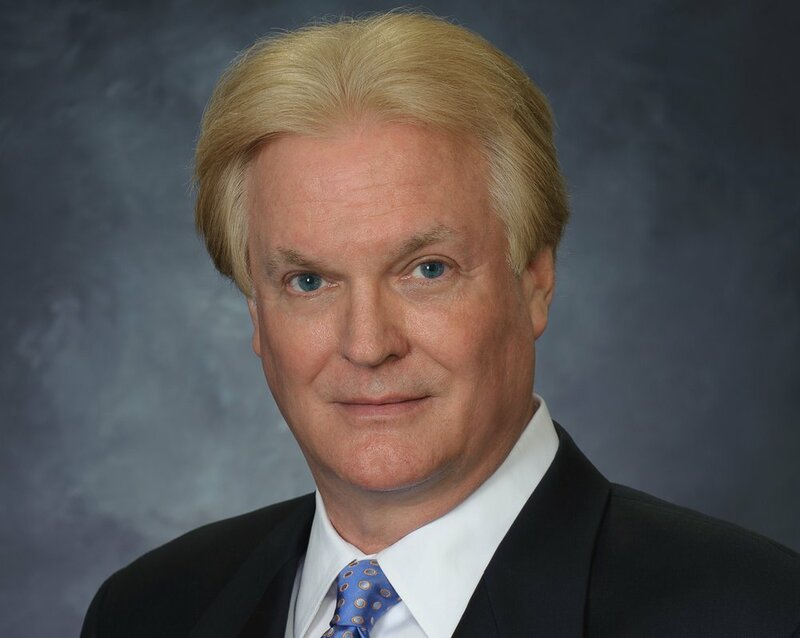 He served as a Partner in Houston Real Estate and Investments Corporation from 1983 to 1985. He was the Owner of Jordan and Associates, Inc., and its subsidiary, Everon Corporation and served as its General Counsel from 1986 to 1987. He has more than 30 years of litigation and transactional experience. He is attorney with Fulbright and Jaworski, a Partner at Beirne, Maynard and Parsons and sole practitioner. Mr. Dillon began his legal career over 38 years ago, first as an attorney at Fulbright & Jaworski. He also served as Chief Executive Officer for a publicly traded technology company. He served as Chairman of Exobox Technologies Corp. since April 4, 2004 until May 2009. He served as Vice Chairman of the Board at Acola Corp. until October 16, 2002. He served as a Director of Exobox Technologies Corp. until May 2009. He served as a Director of Acola Corp. from October 12, 2001 to October 16, 2002. He was admitted to the Texas Bar in October 1974. Mr. Dillon received a BA from the University of Texas in 1971 and JD from the University of Texas Law School in 1974.